Net Promoter Score(NPS) is management tool used to gauge the customer's overall satisfaction with their purchase online. Don’t just run a business or sell products. Aim to create an experience your customers will never forget. It's a company overall rating survey where customers write their overall experience with you and a scoring of 1 - 10. 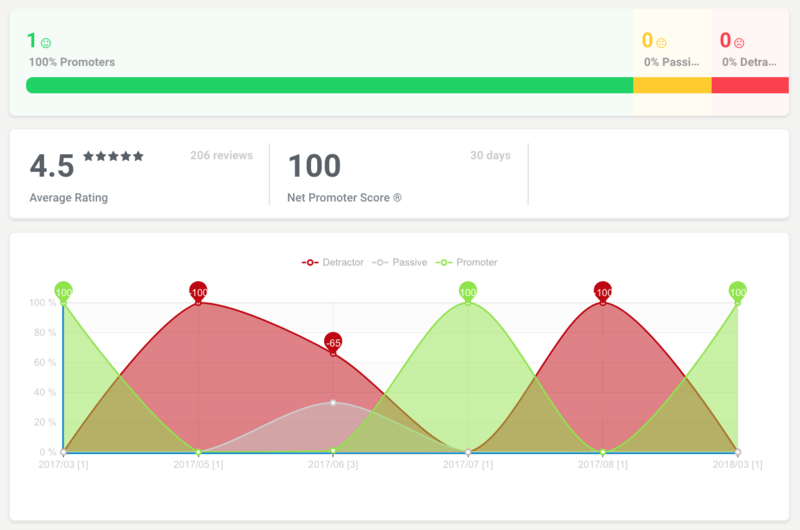 The scores are computed to provide an overall index that determines the customer's satisfaction level and their willingness to recommend your company to others.